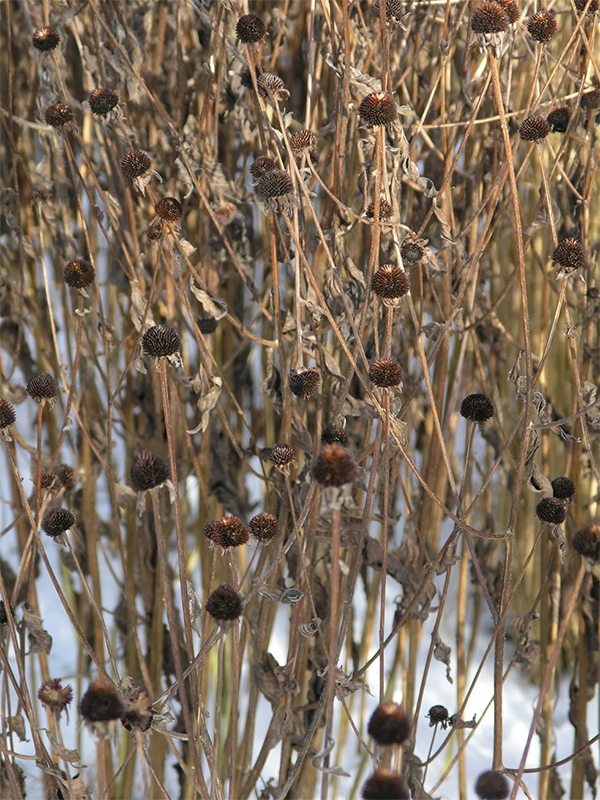 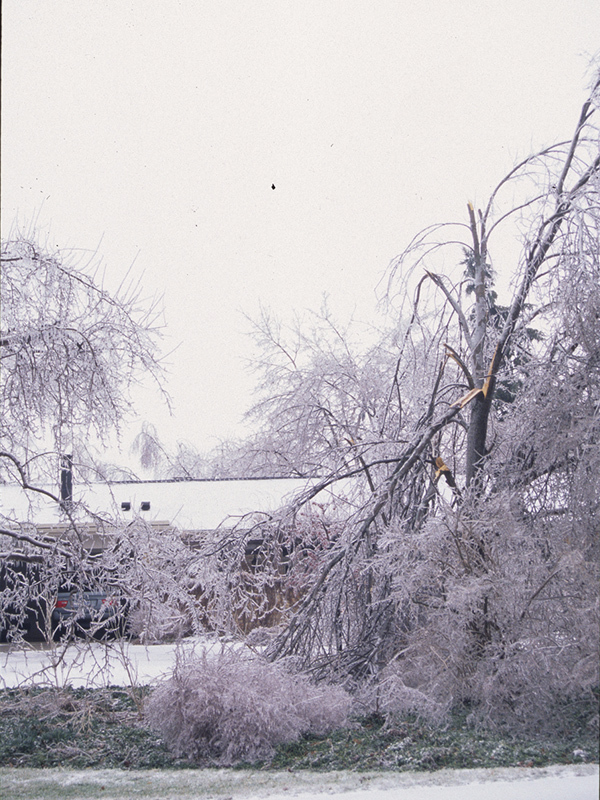 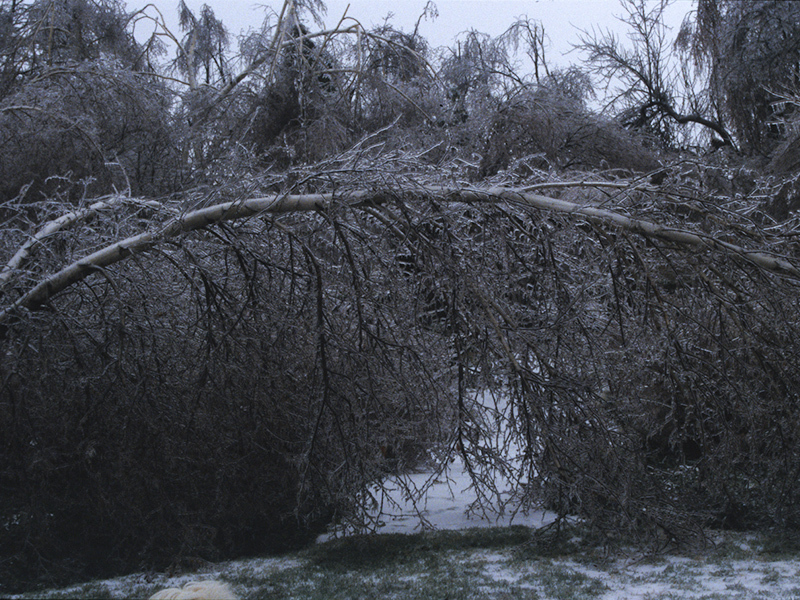 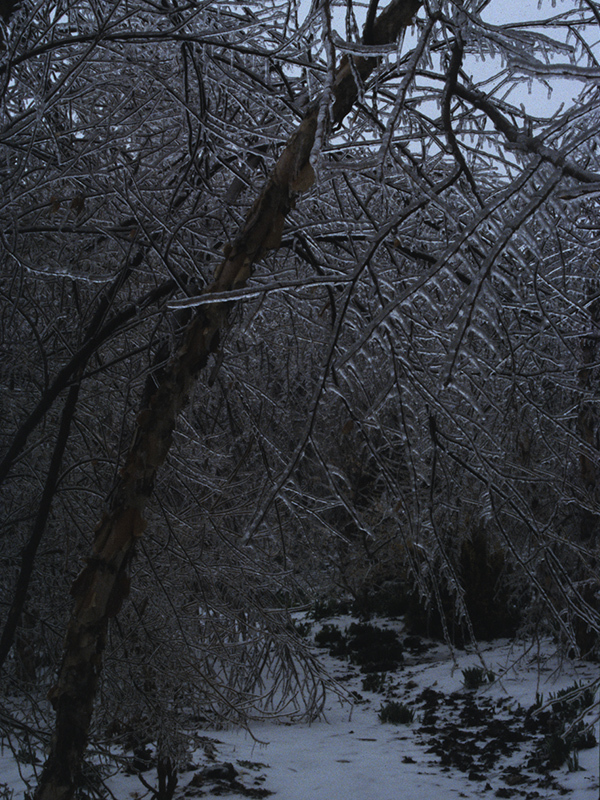 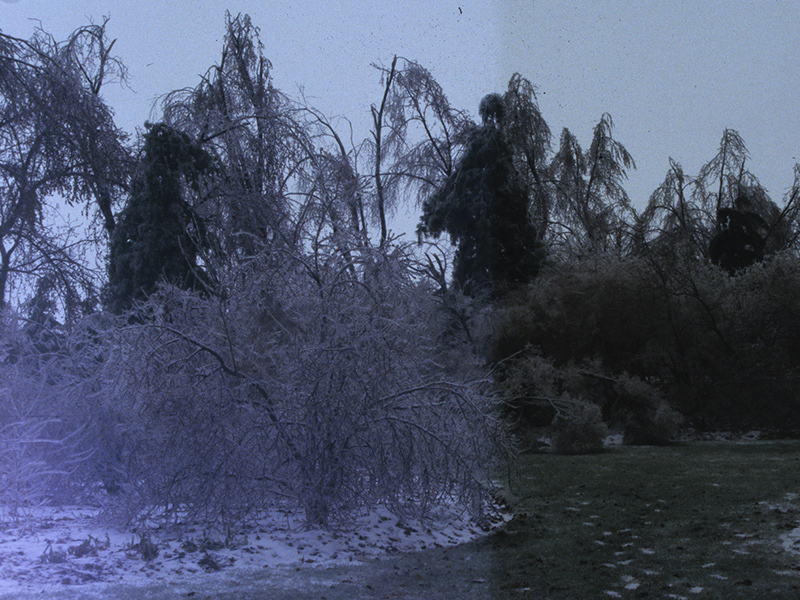 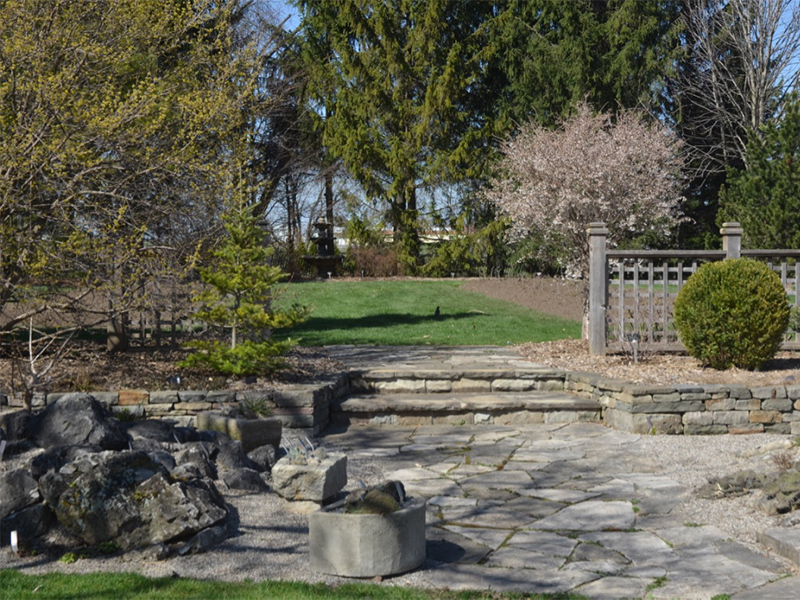 The A.M. (Mac) Cuddy Gardens commonly referred to as Cuddy Gardens was once a rural Ontario farm in the 1950s. 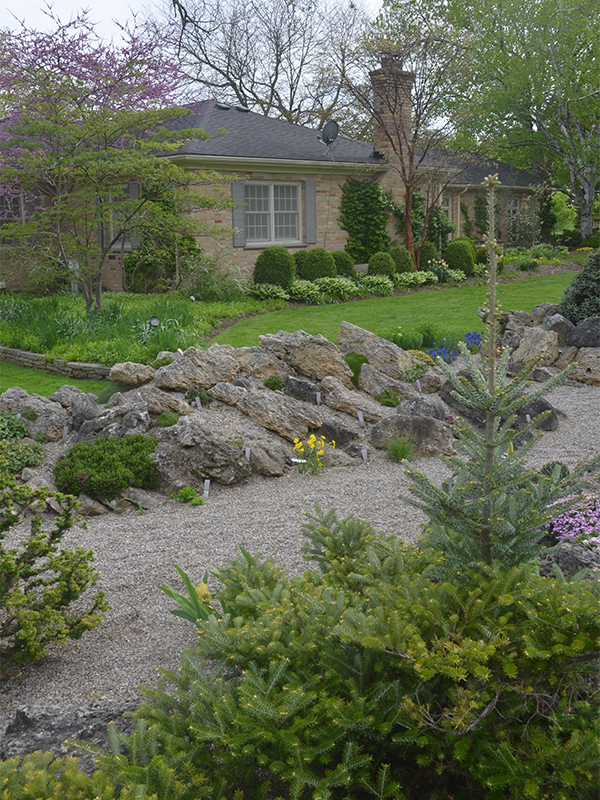 A. M Cuddy made his fortune with Cuddy Farms, one of the largest producer of turkey poults/ turkey hatching eggs. 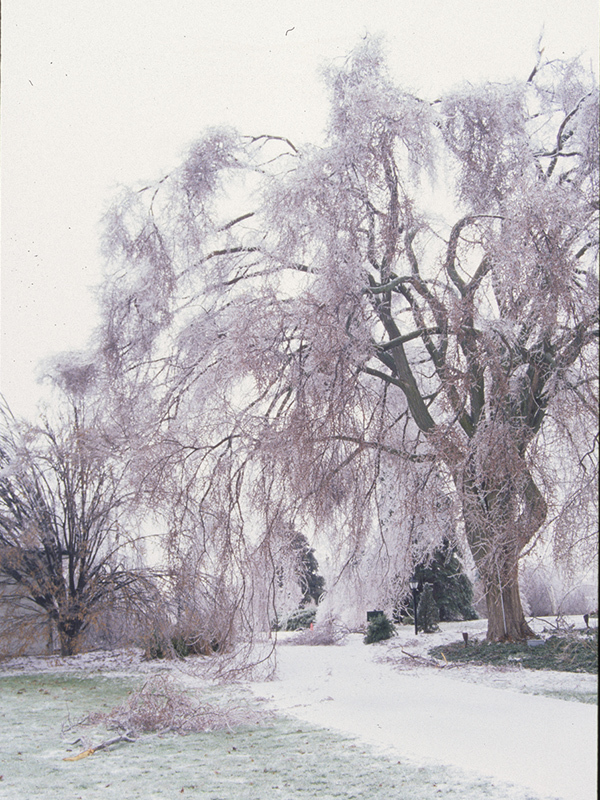 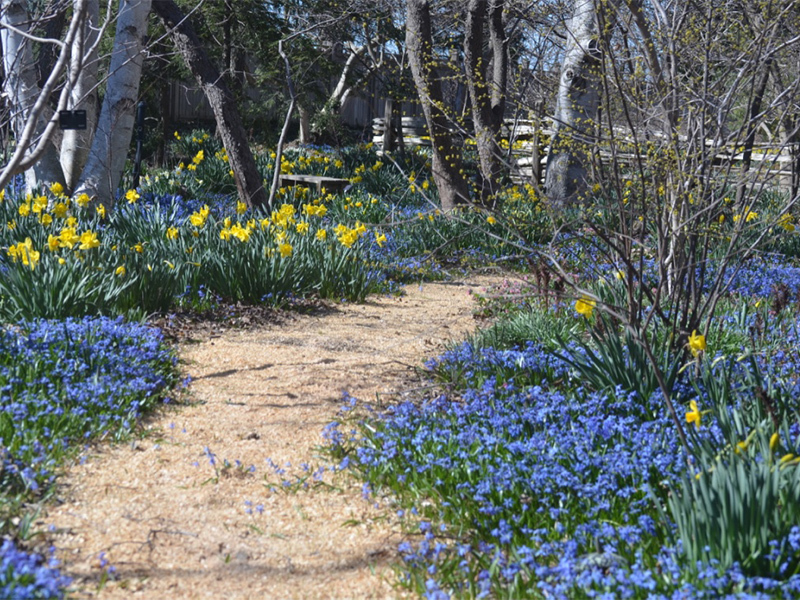 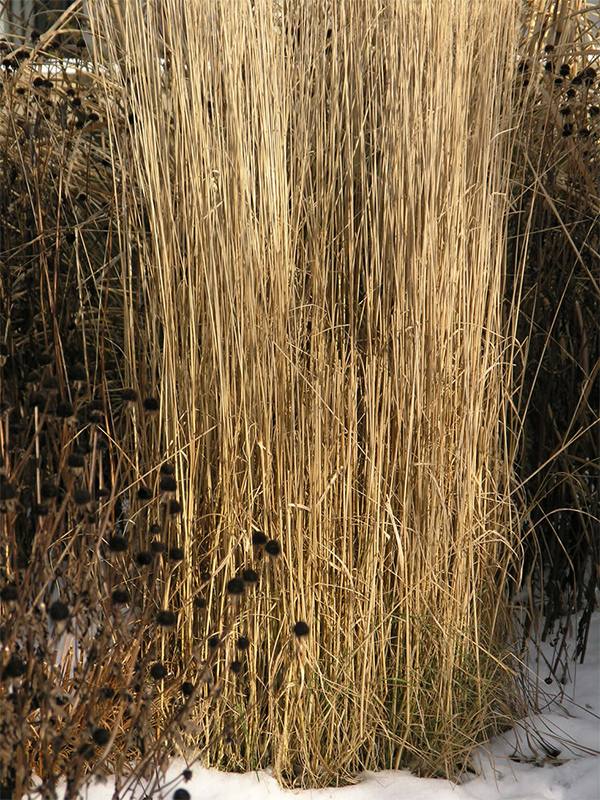 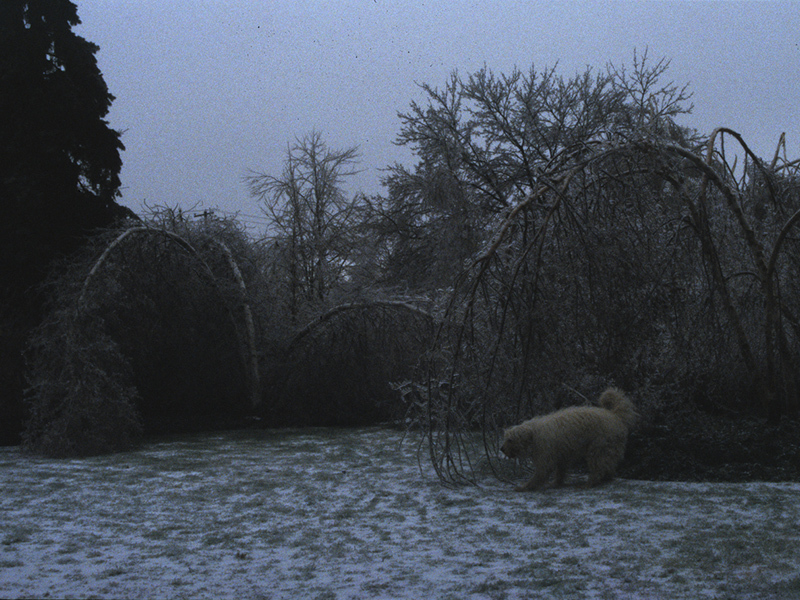 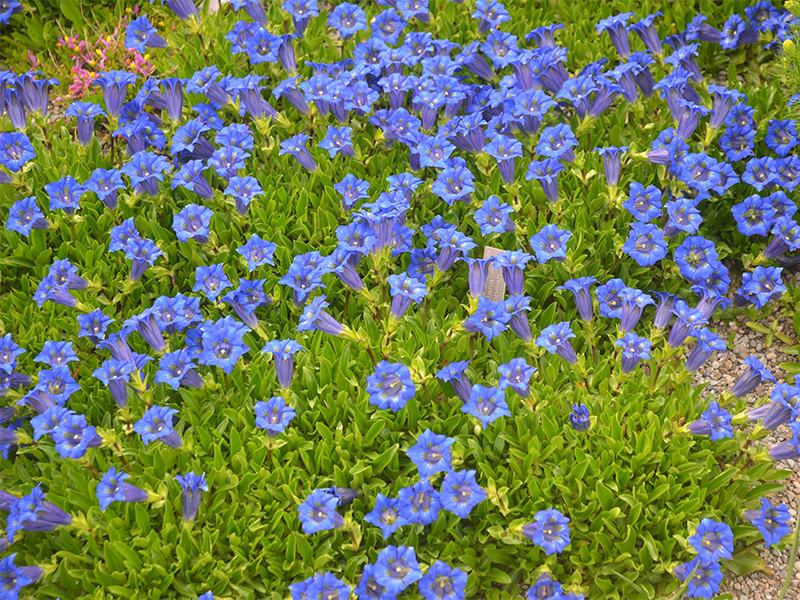 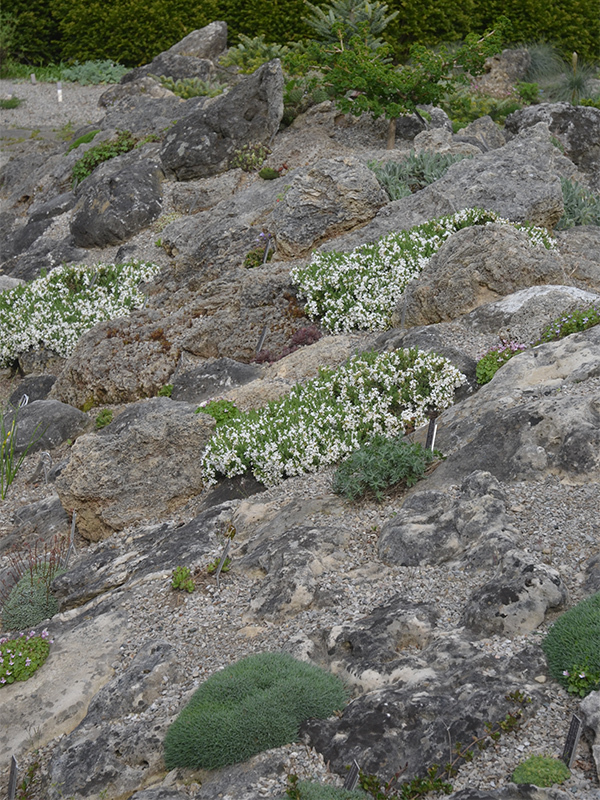 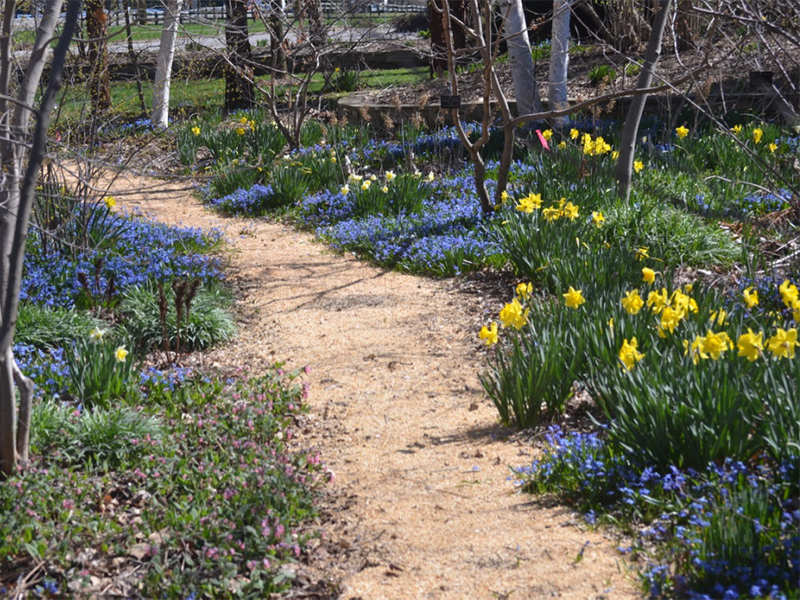 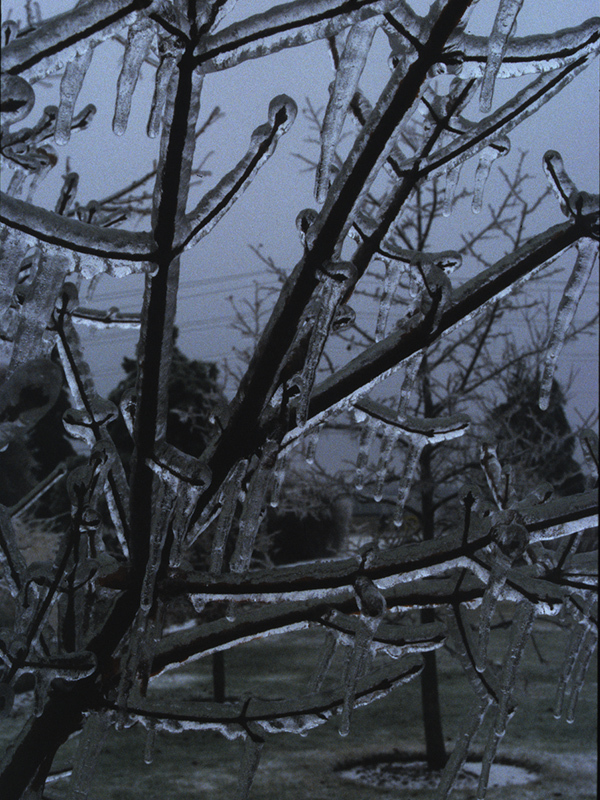 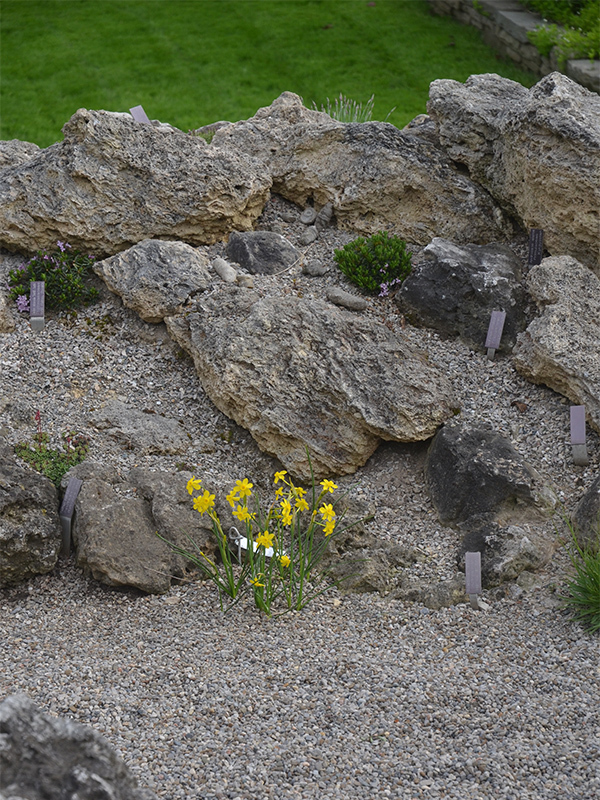 He had always taken a keen interest in horticulture, the landscape and insisted the corporate properties exemplify horticultural and landscape management practices. 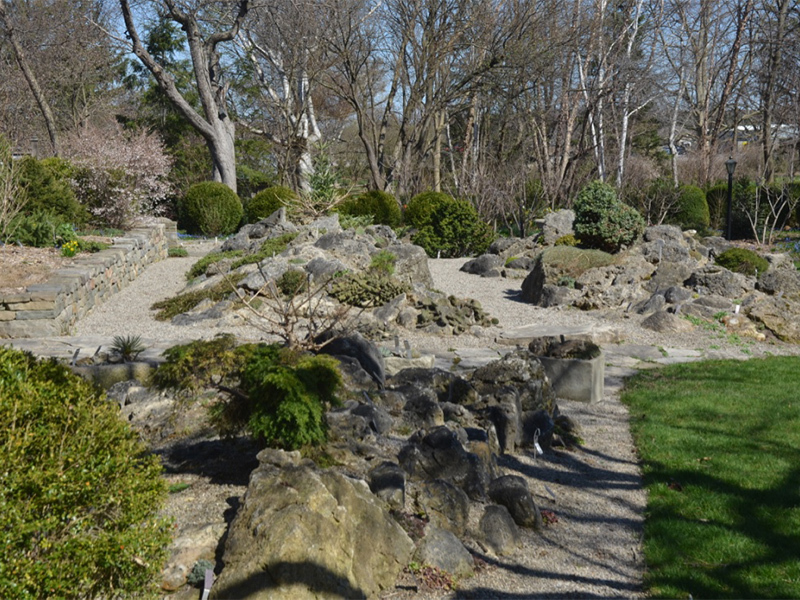 The A.M. (Mac) Cuddy Gardens seen today developed as a park-like landscape under his direction until 1991. 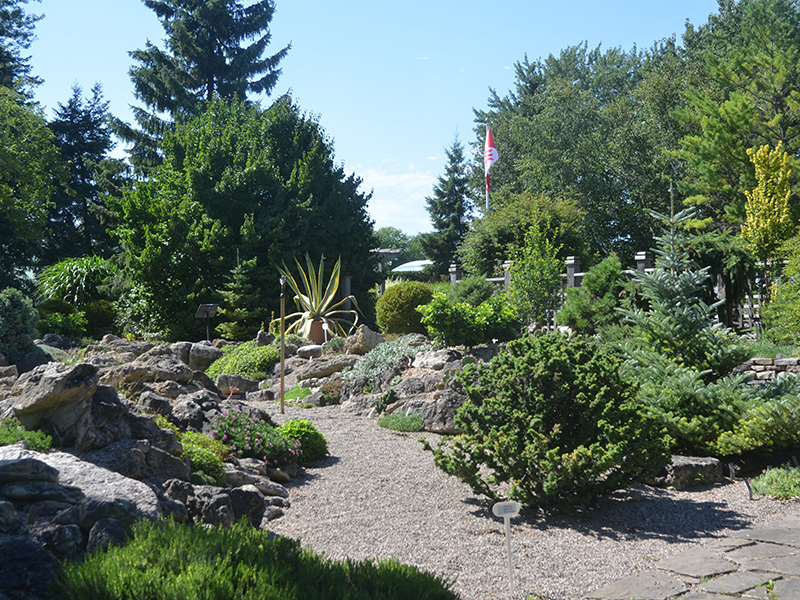 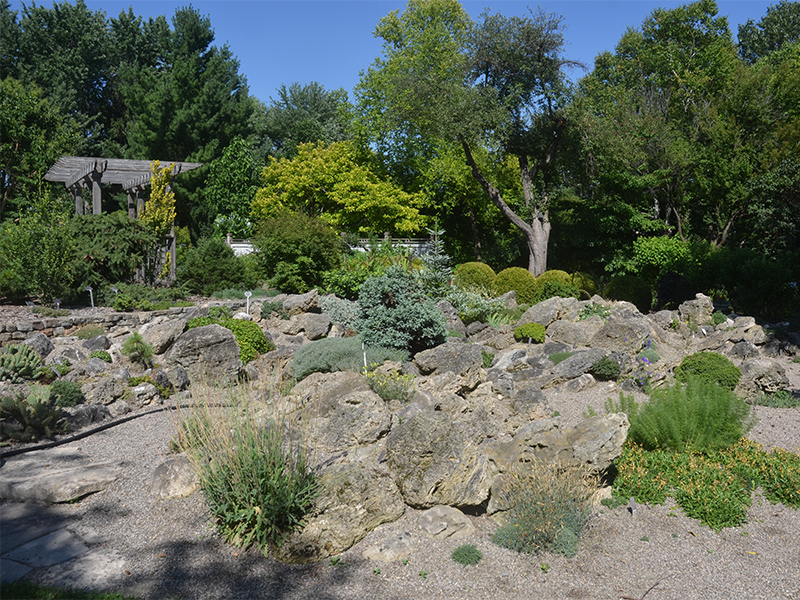 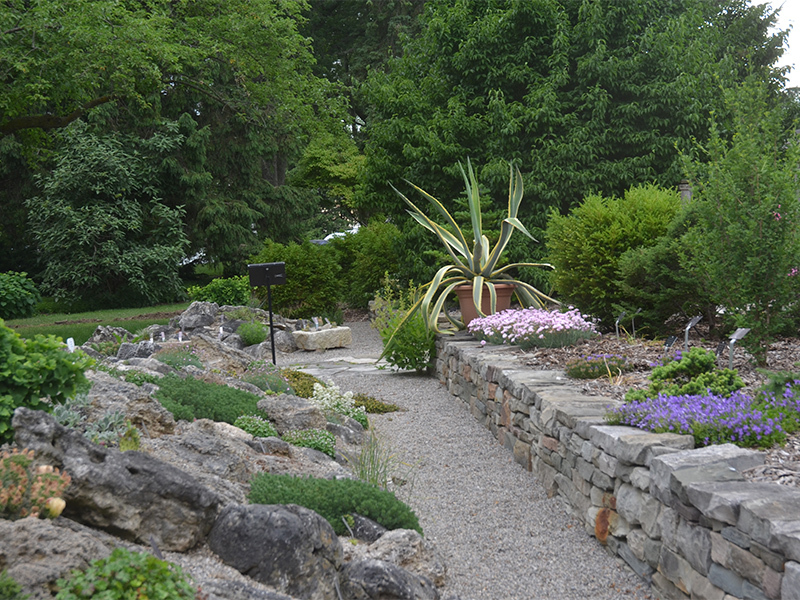 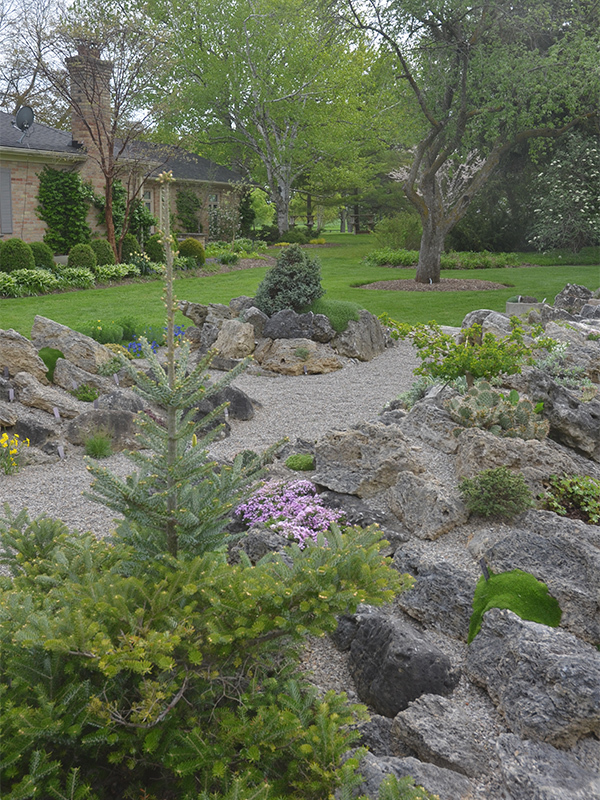 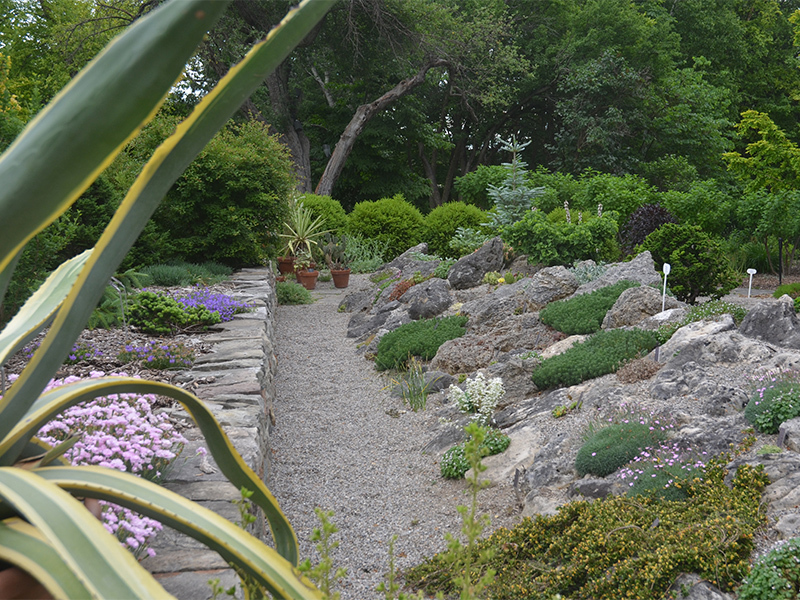 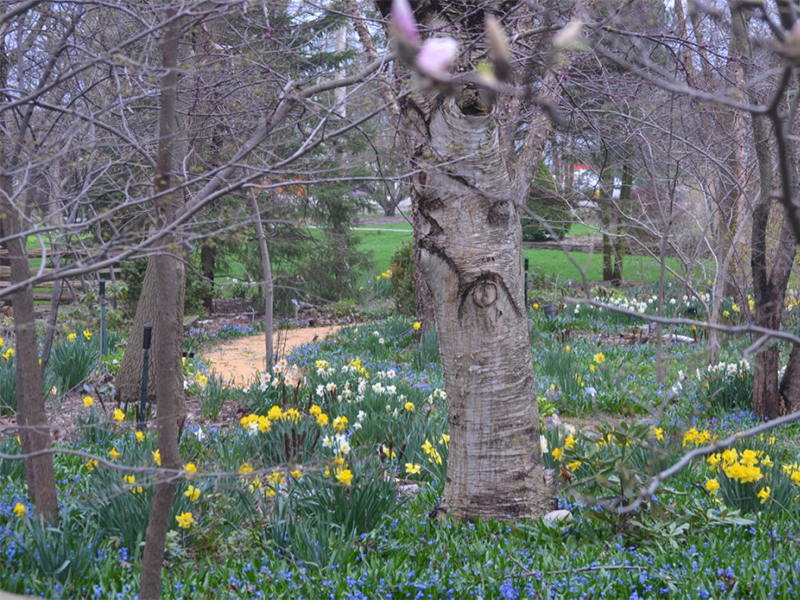 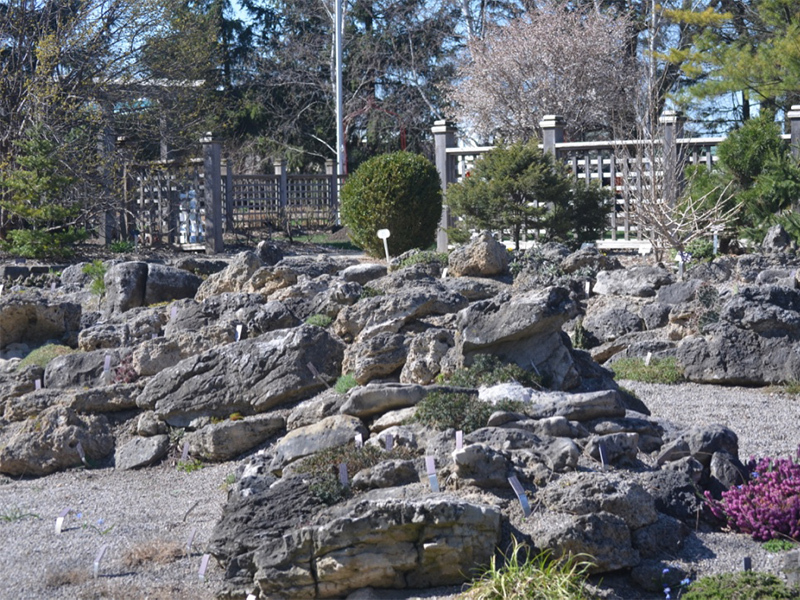 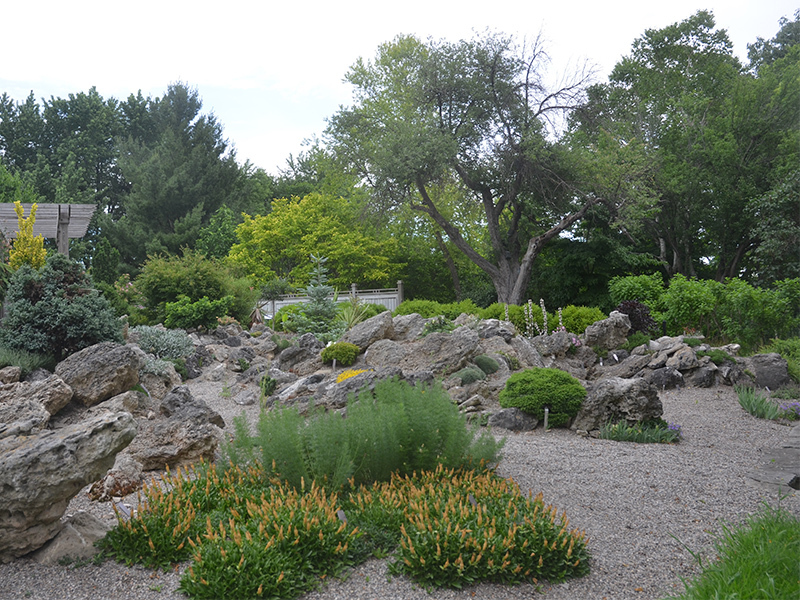 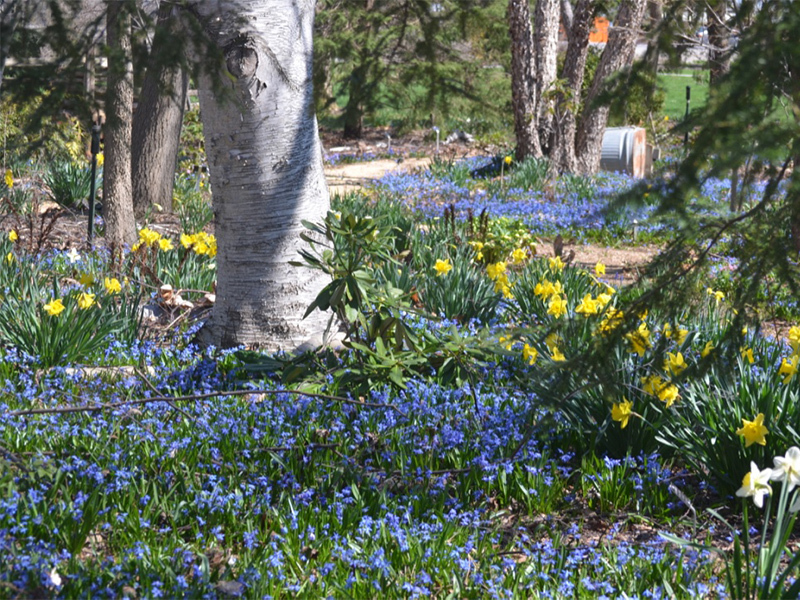 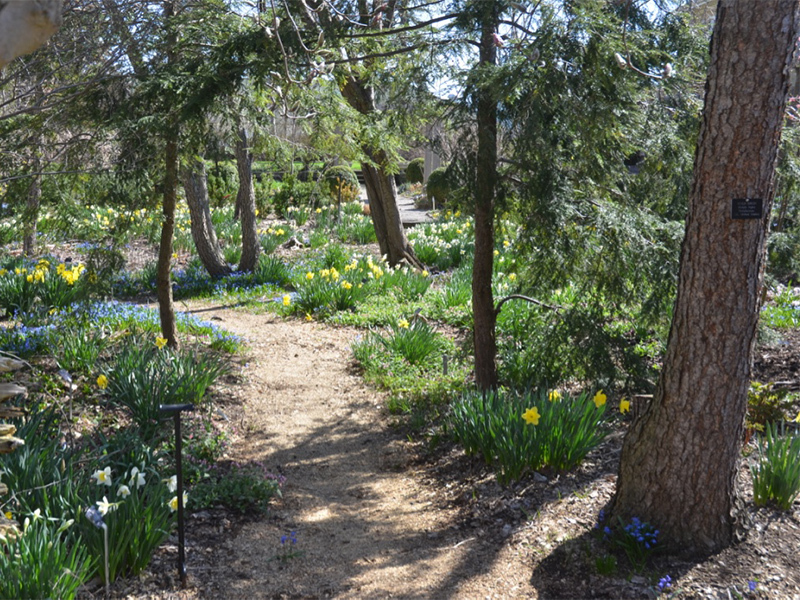 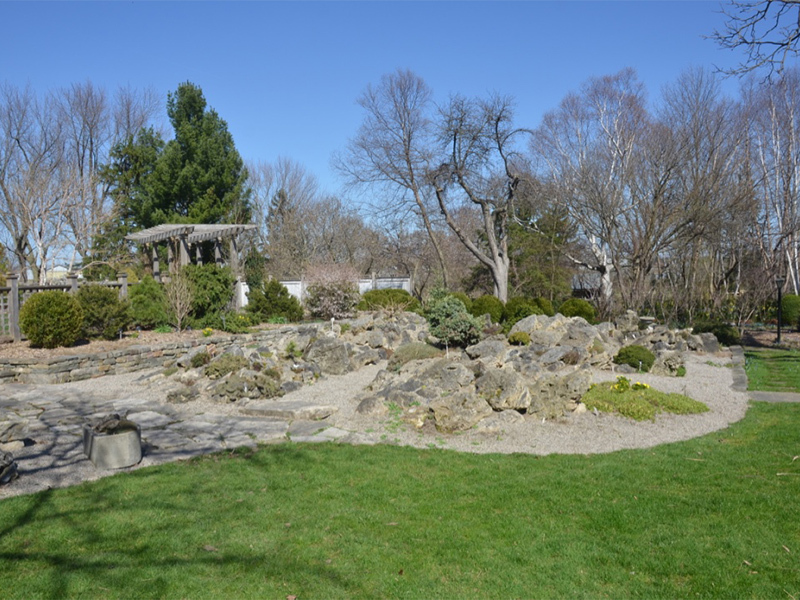 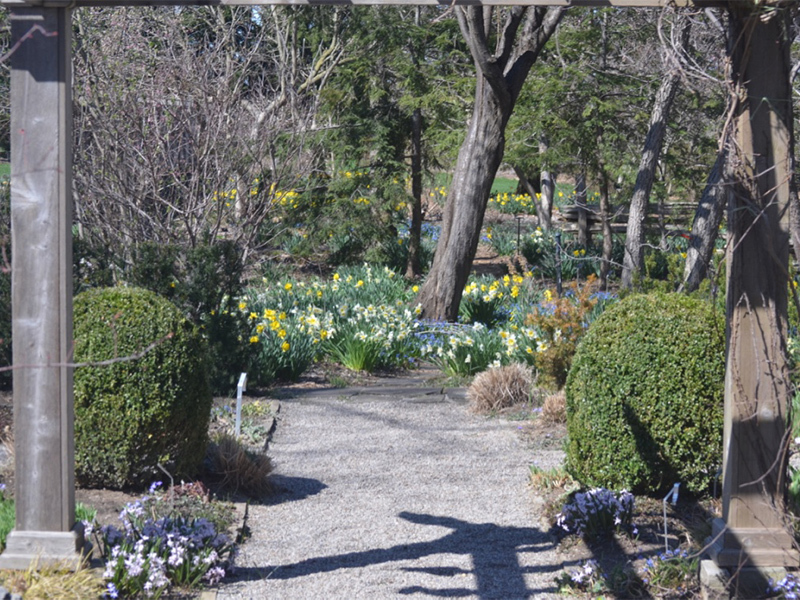 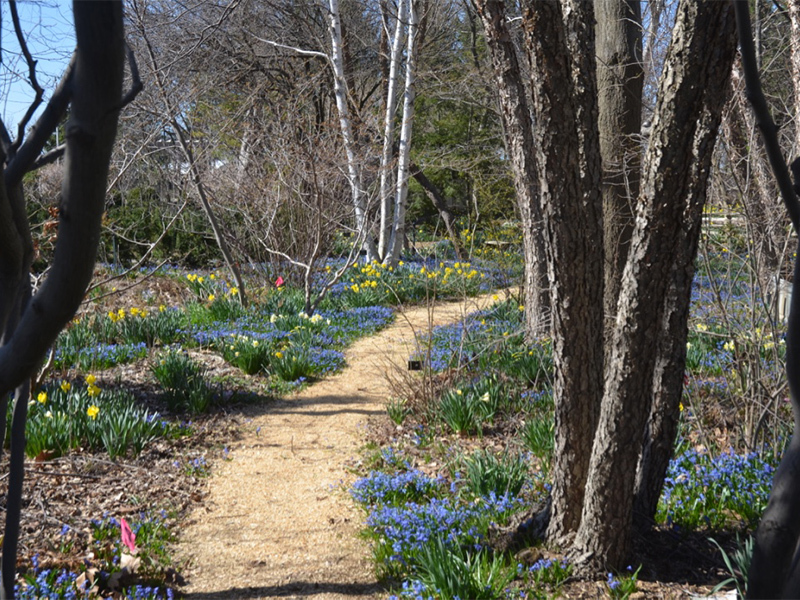 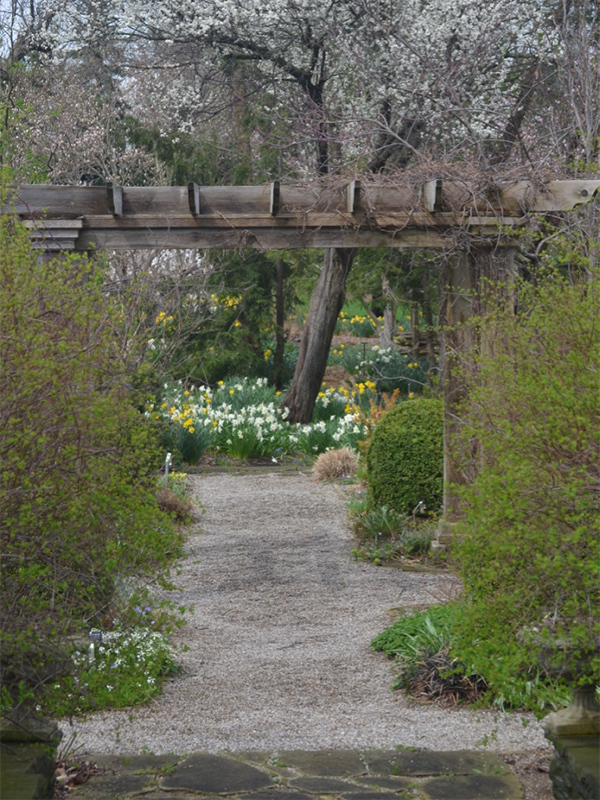 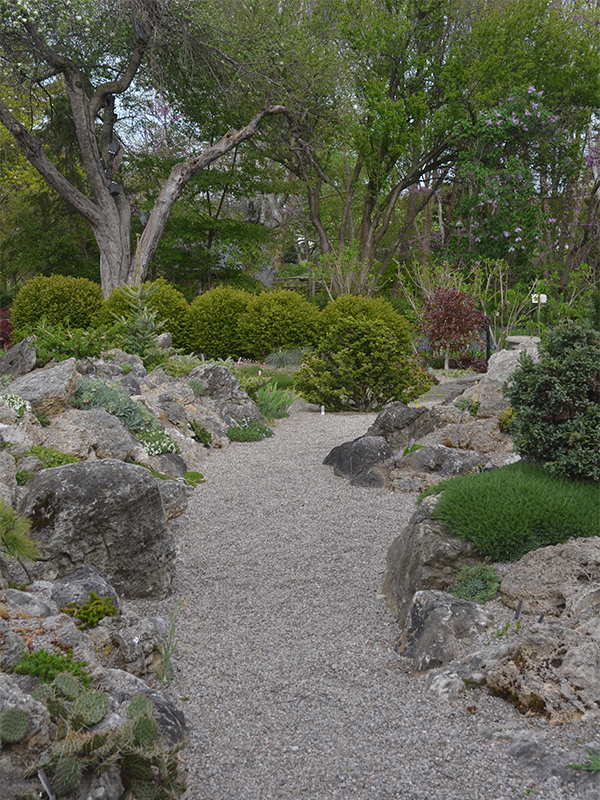 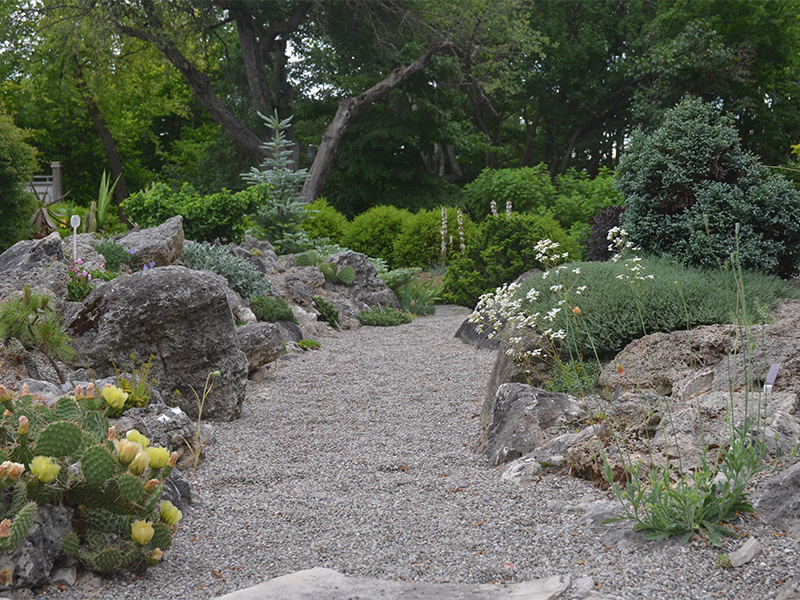 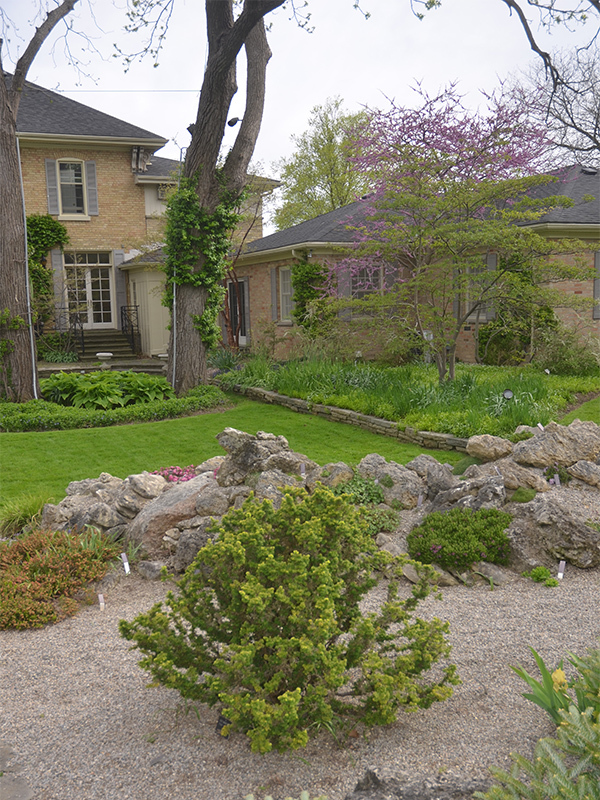 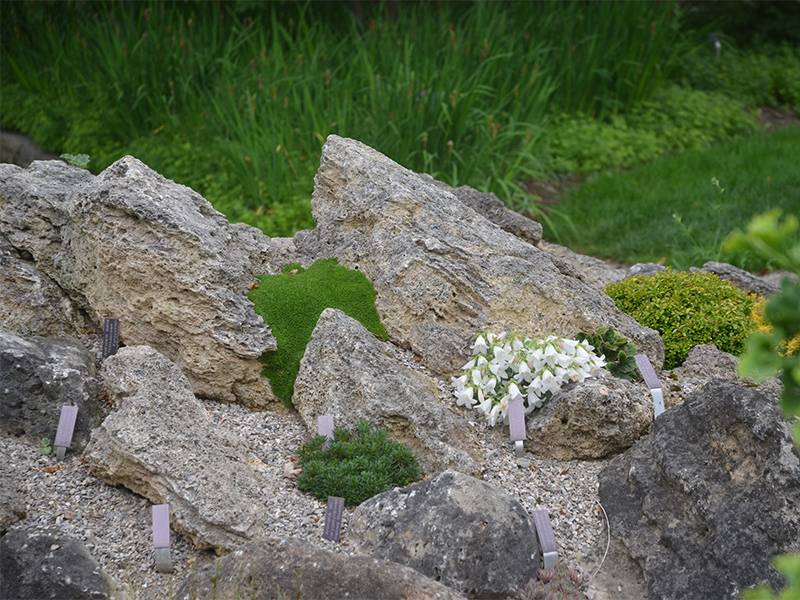 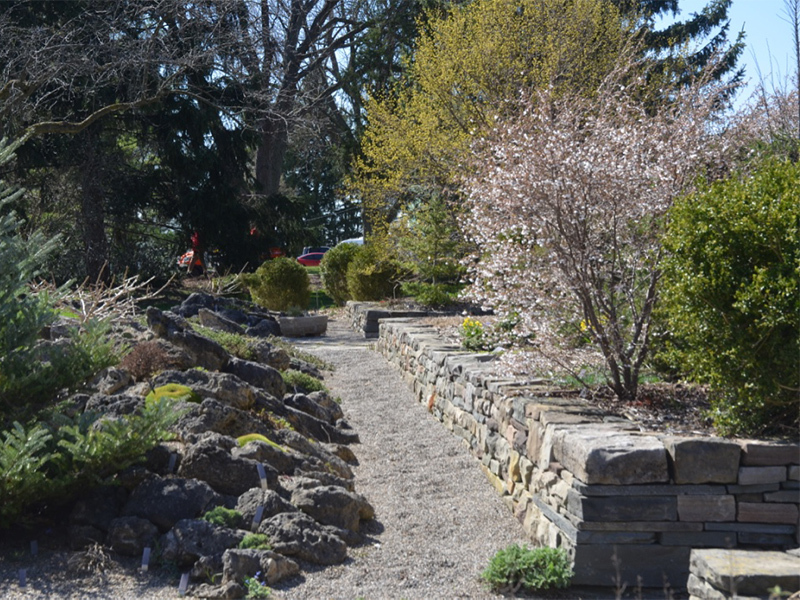 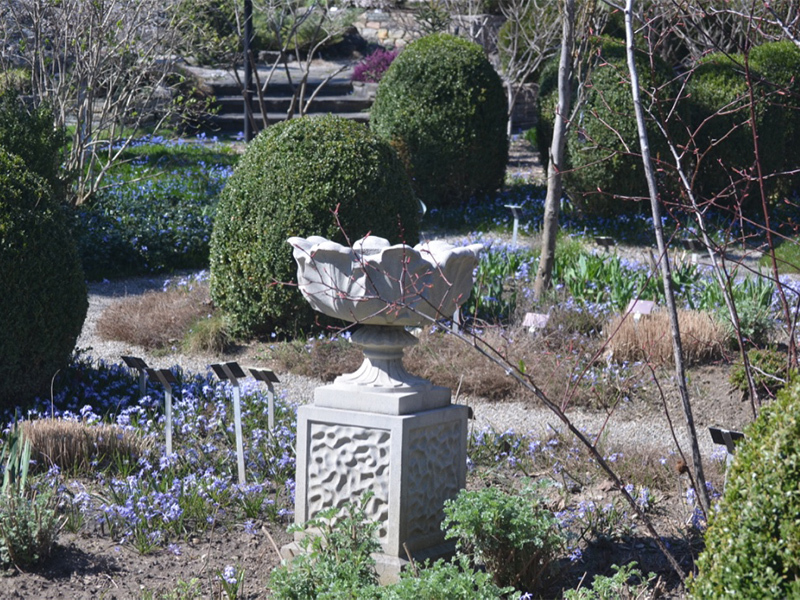 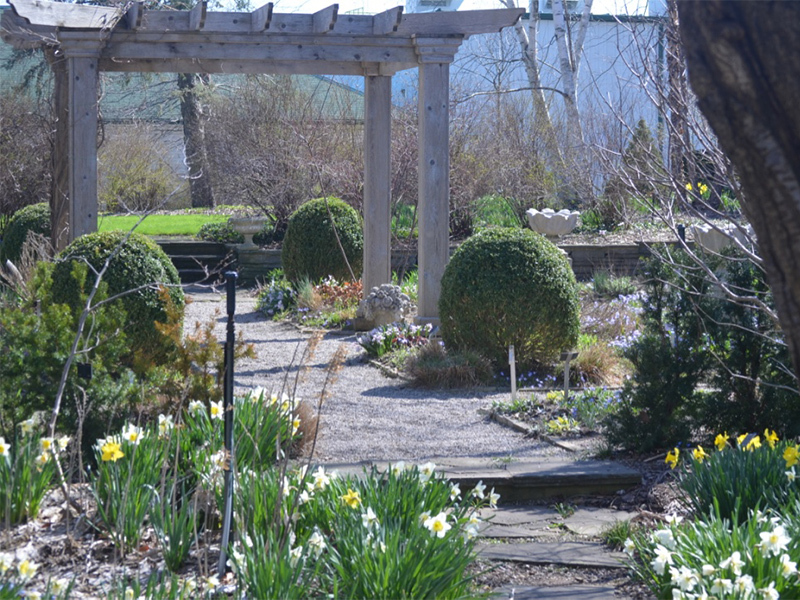 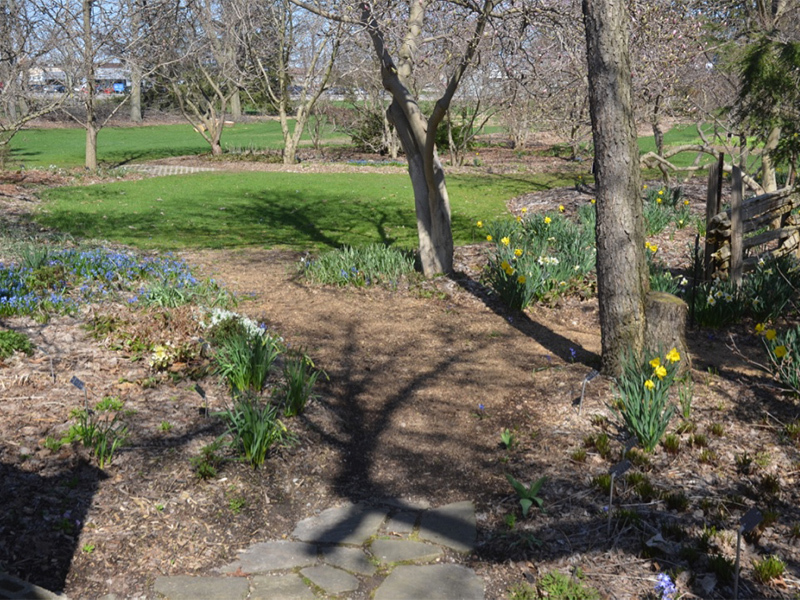 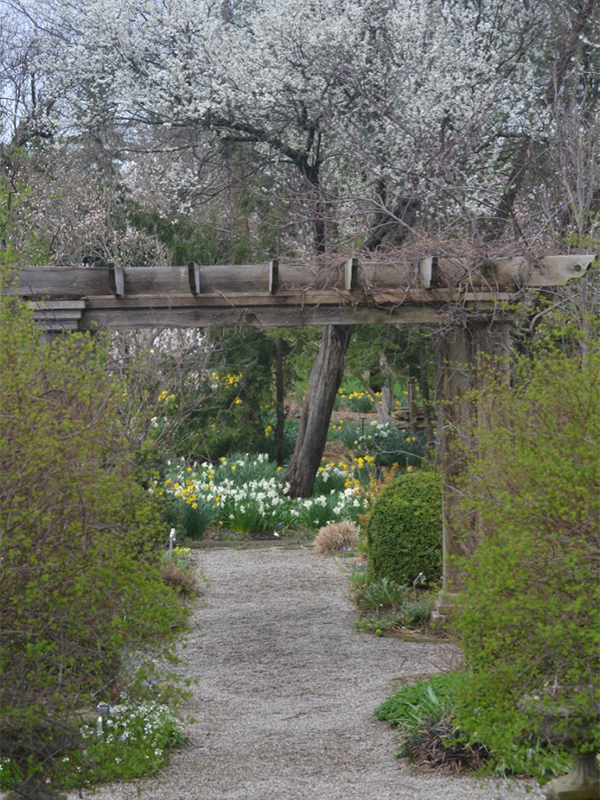 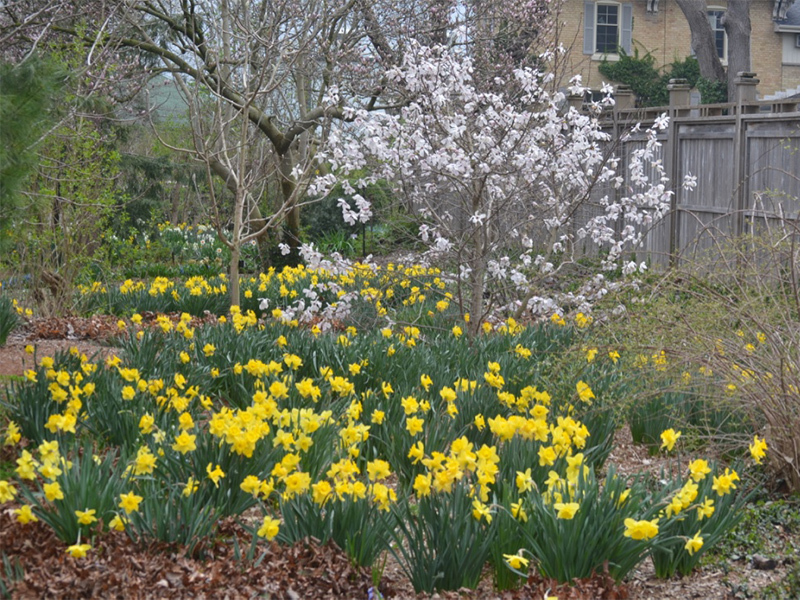 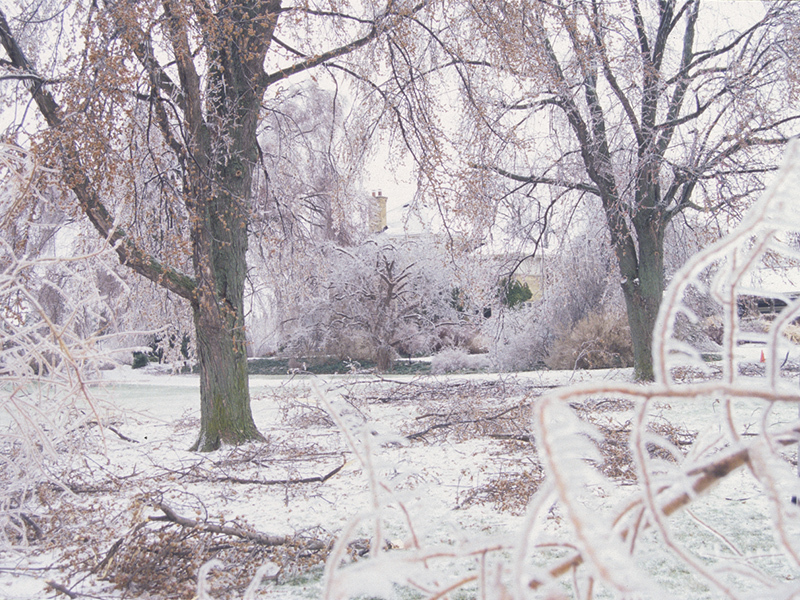 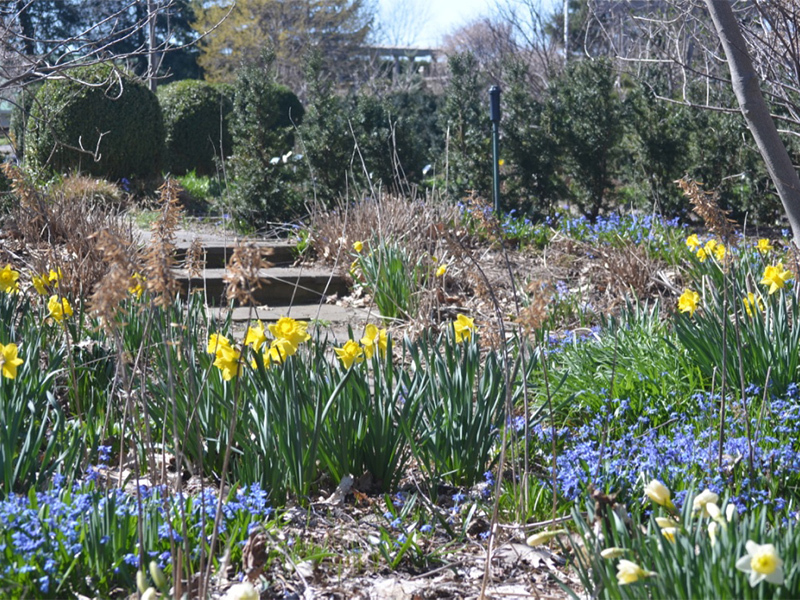 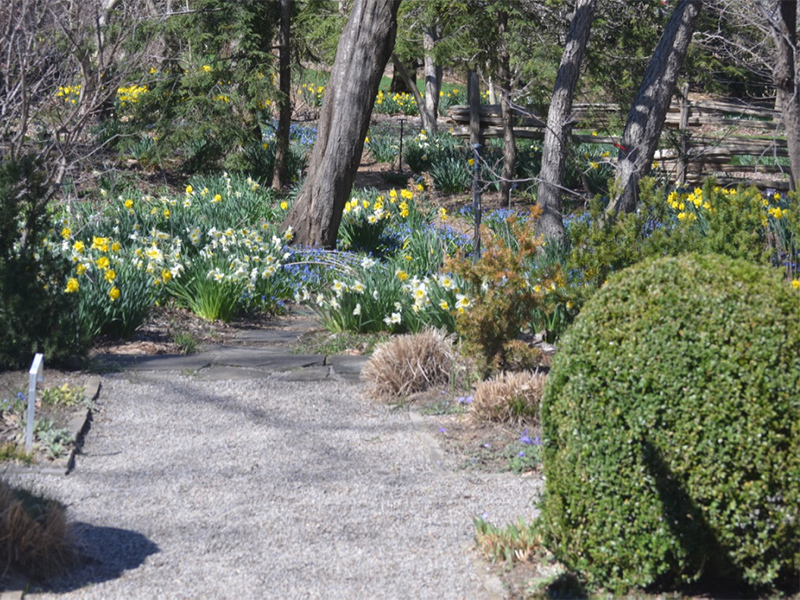 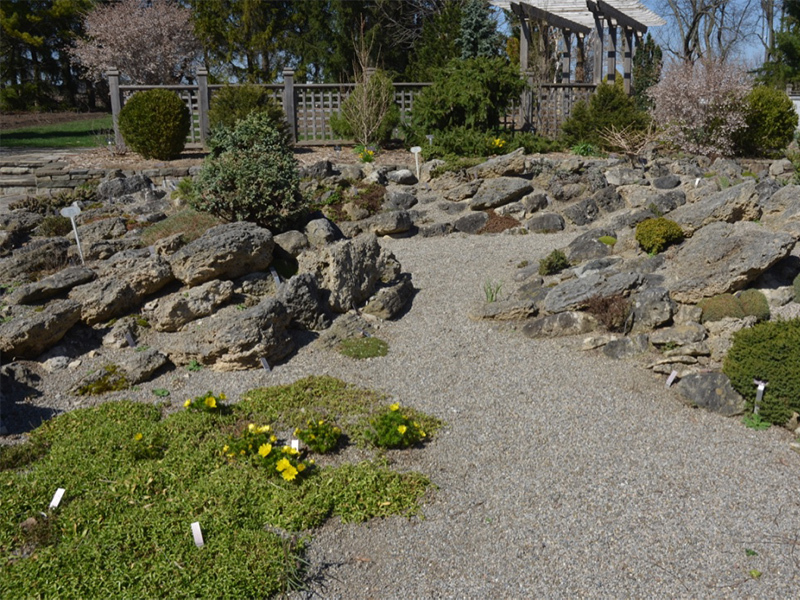  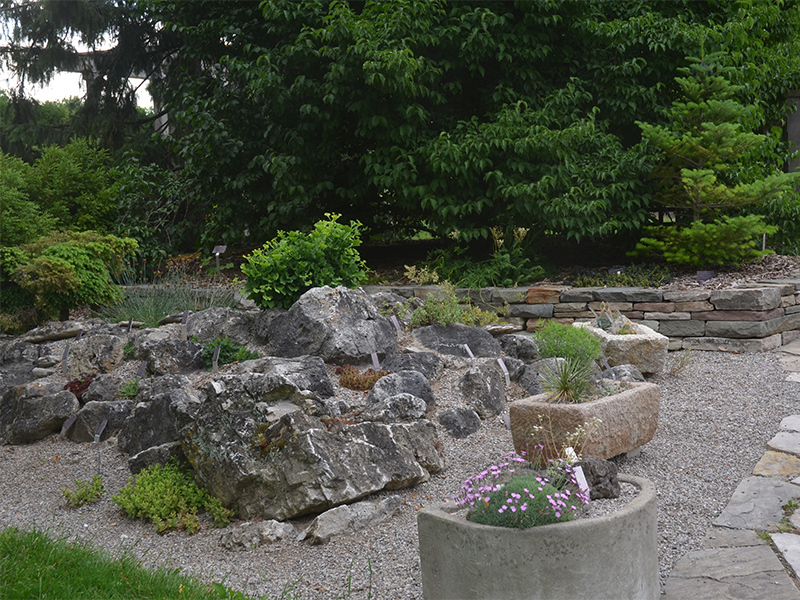 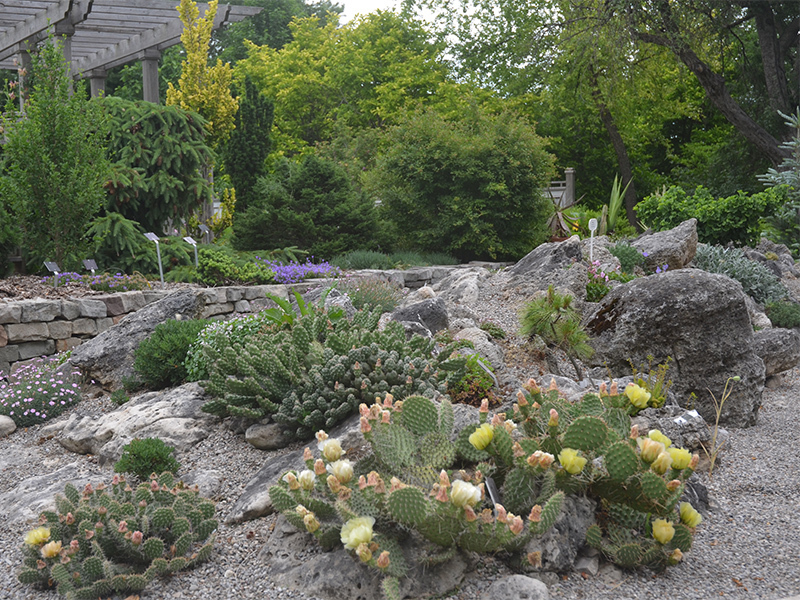 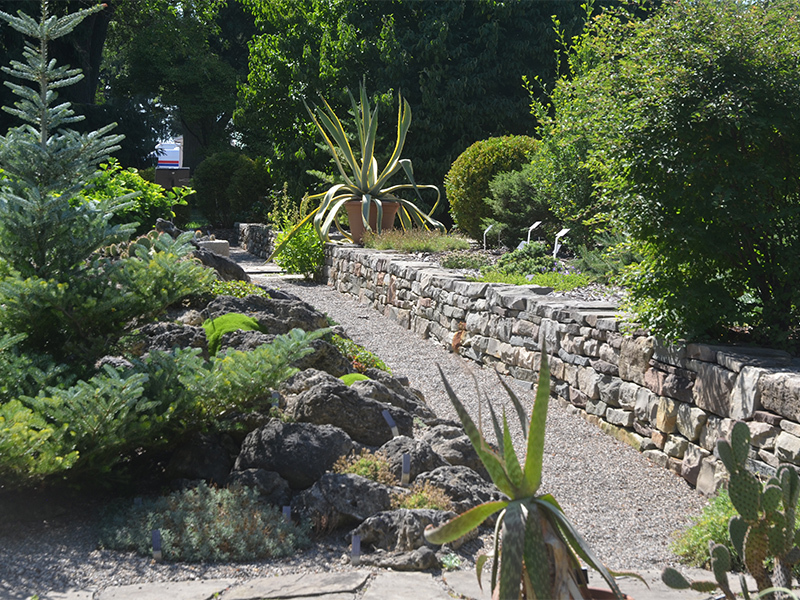 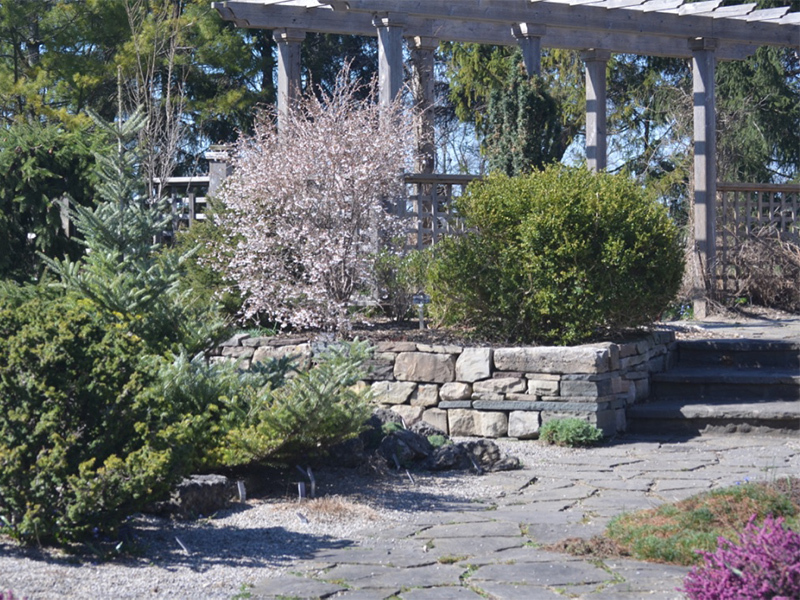 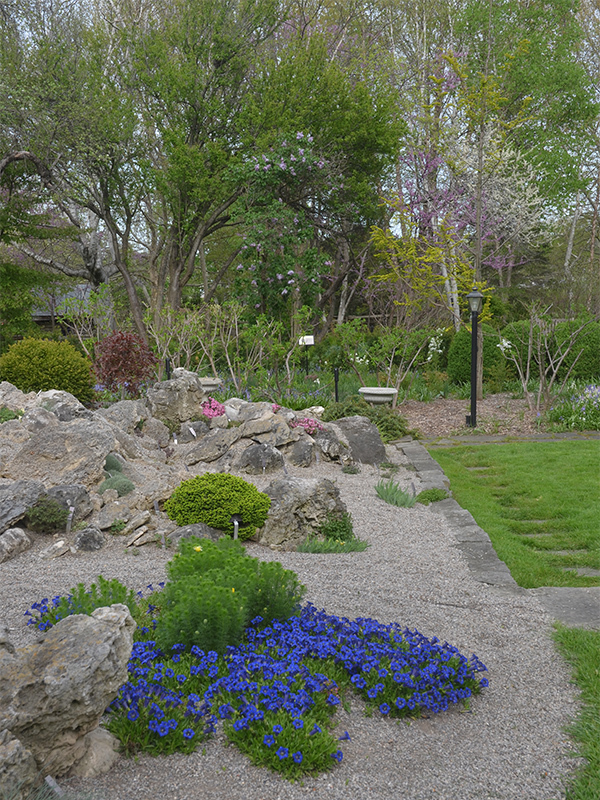 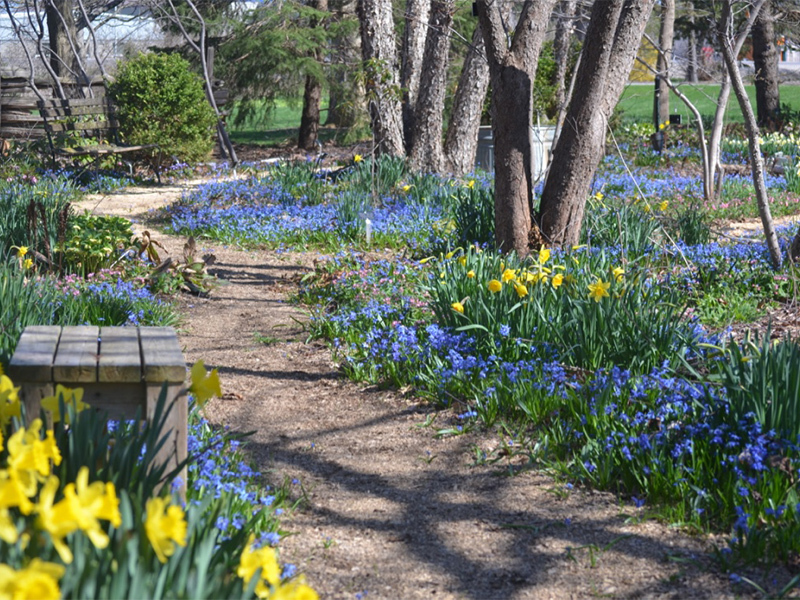 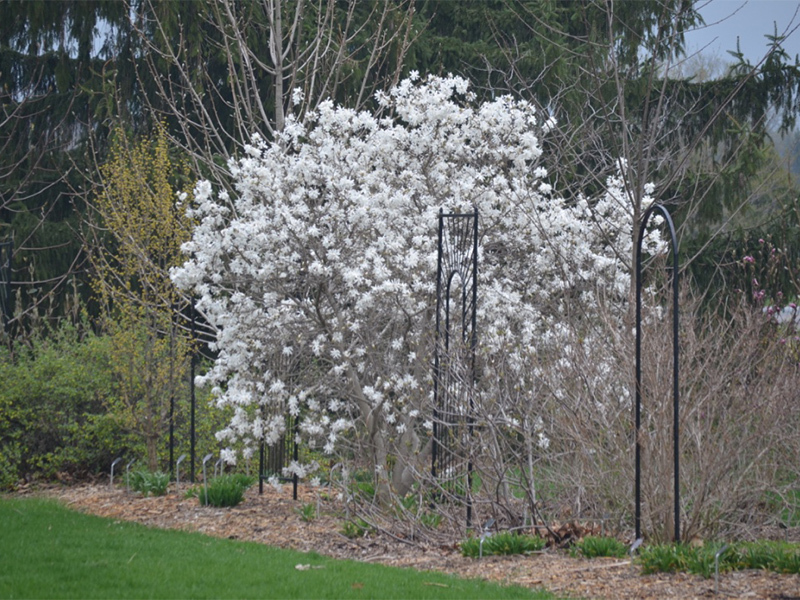 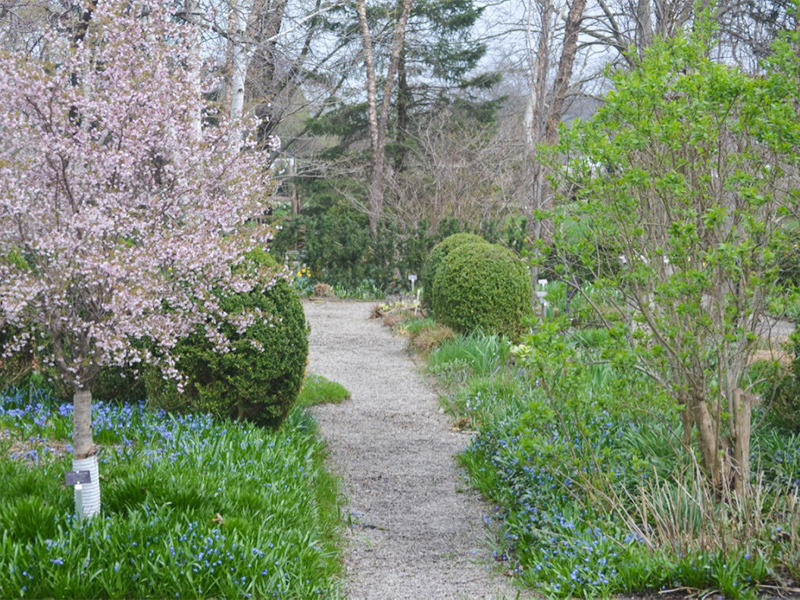 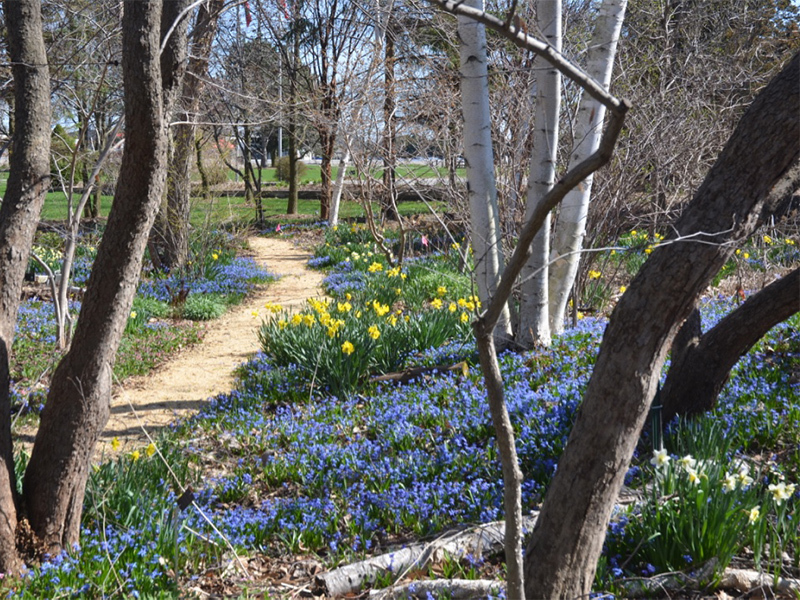 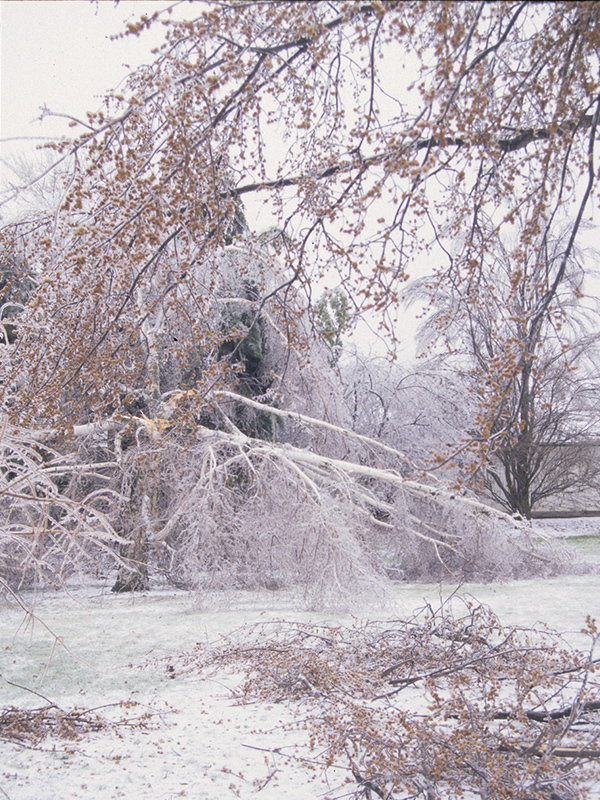 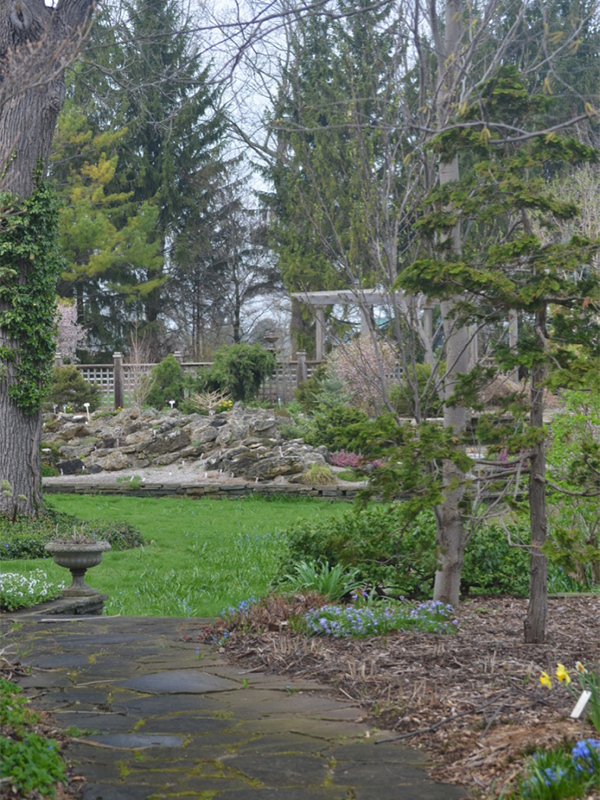 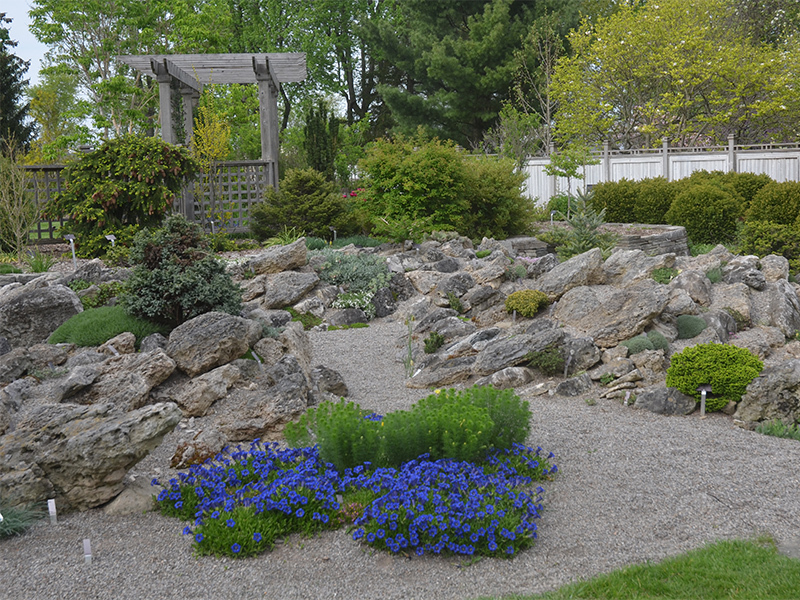 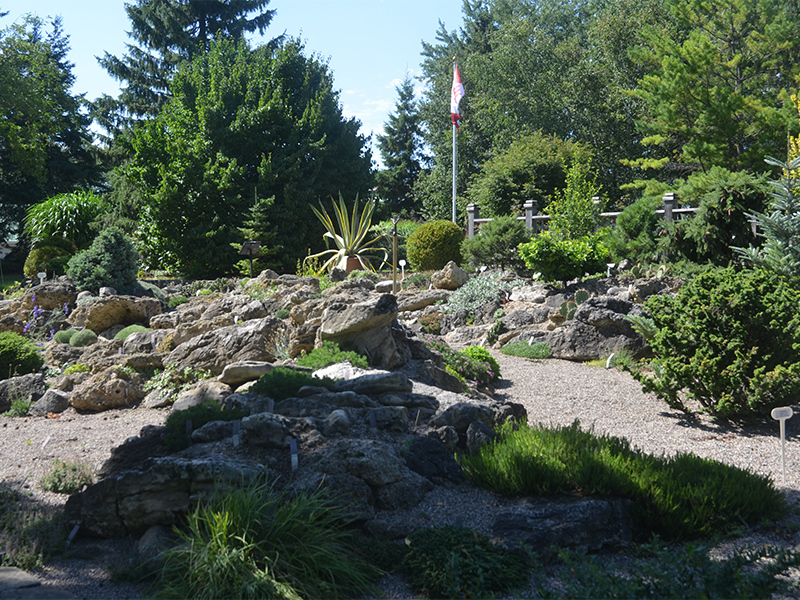 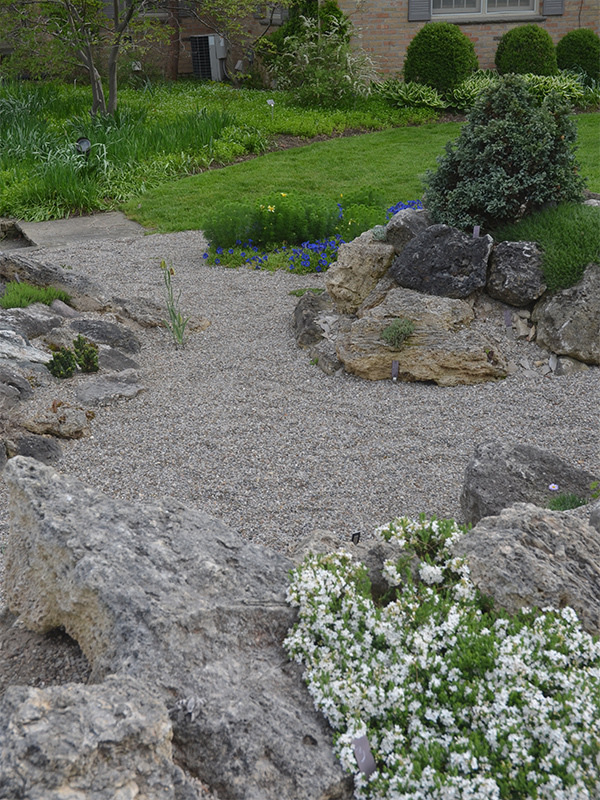 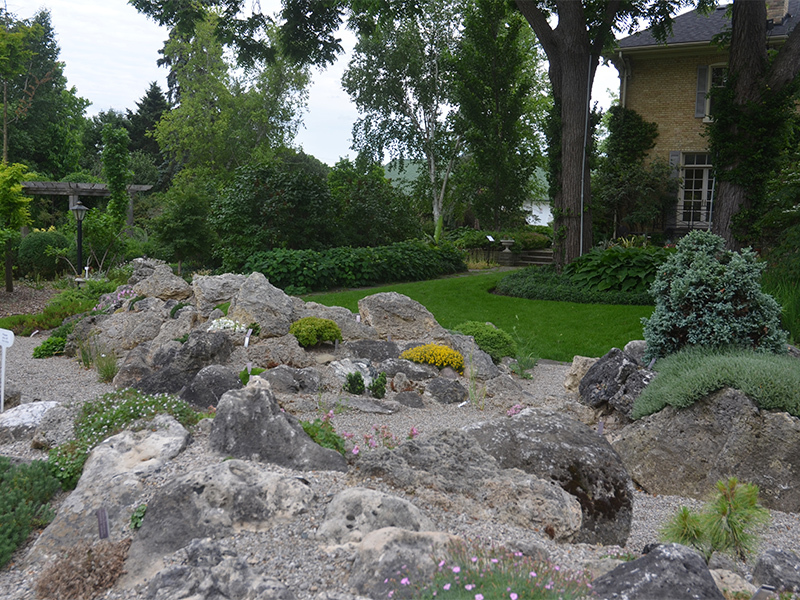 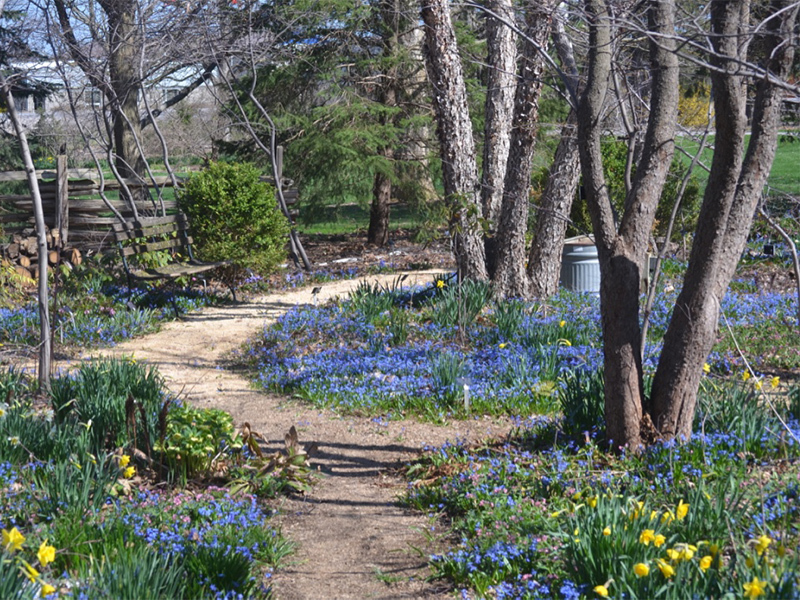 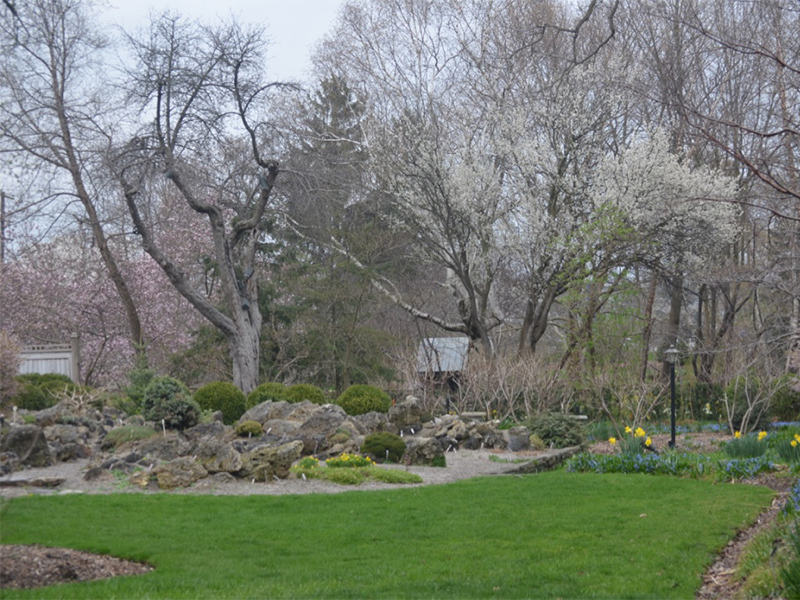 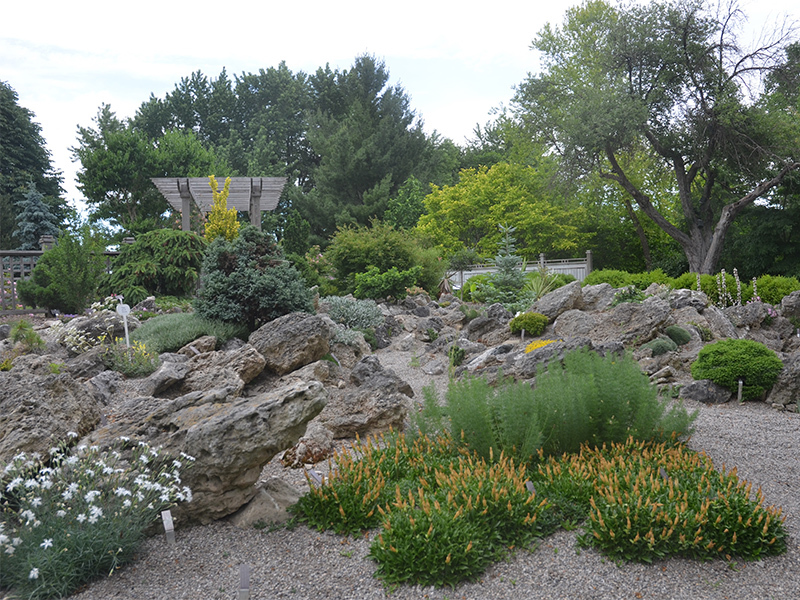 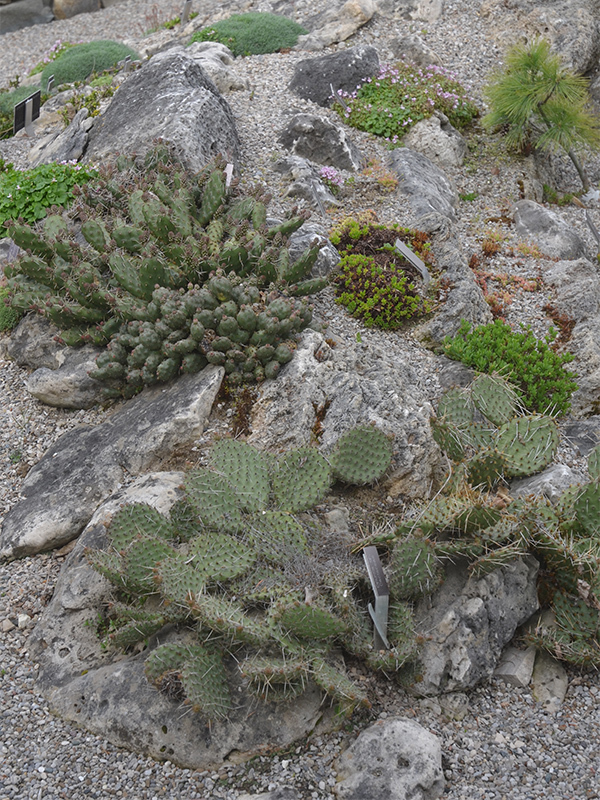 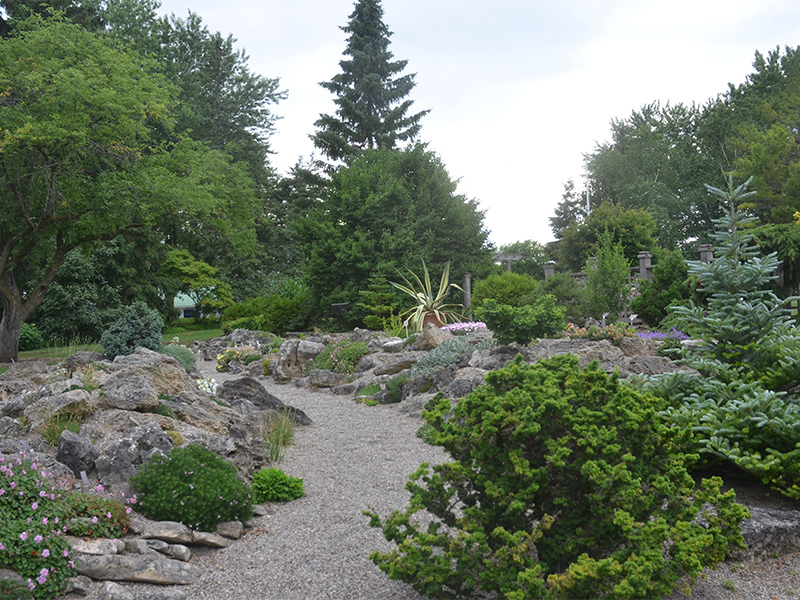 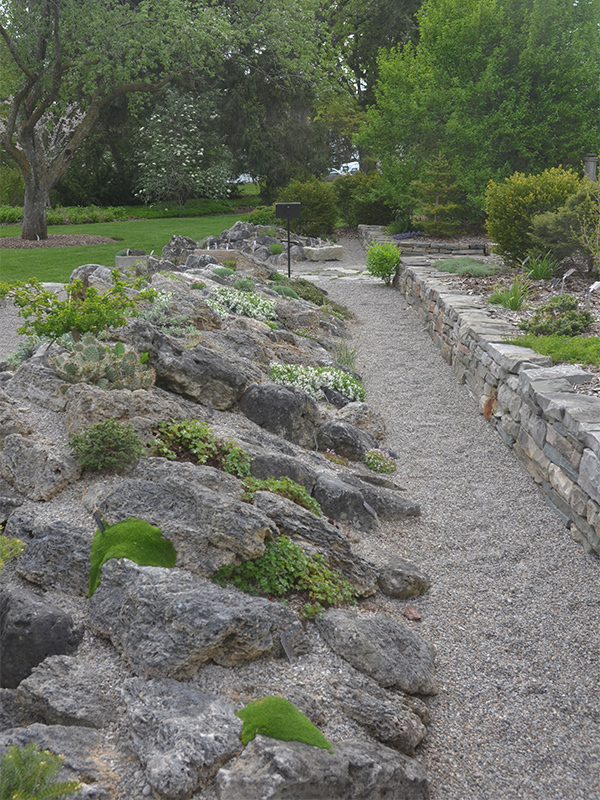 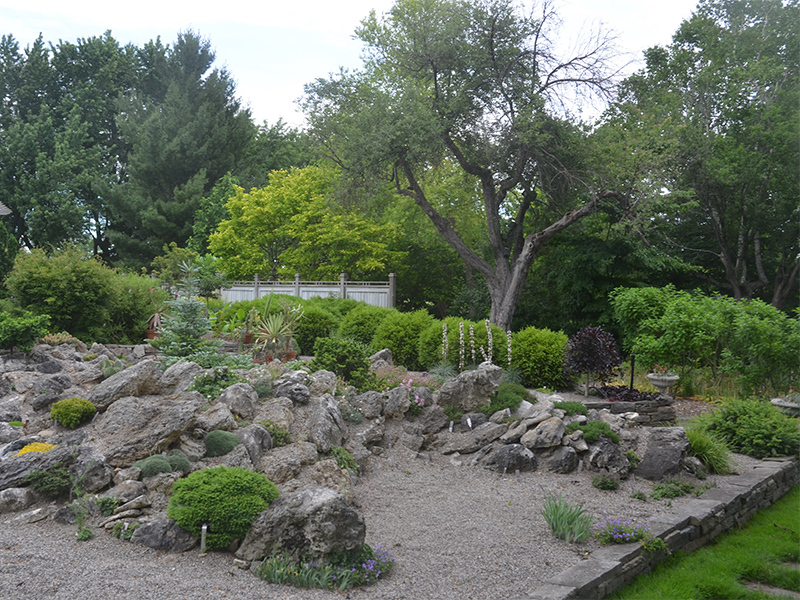 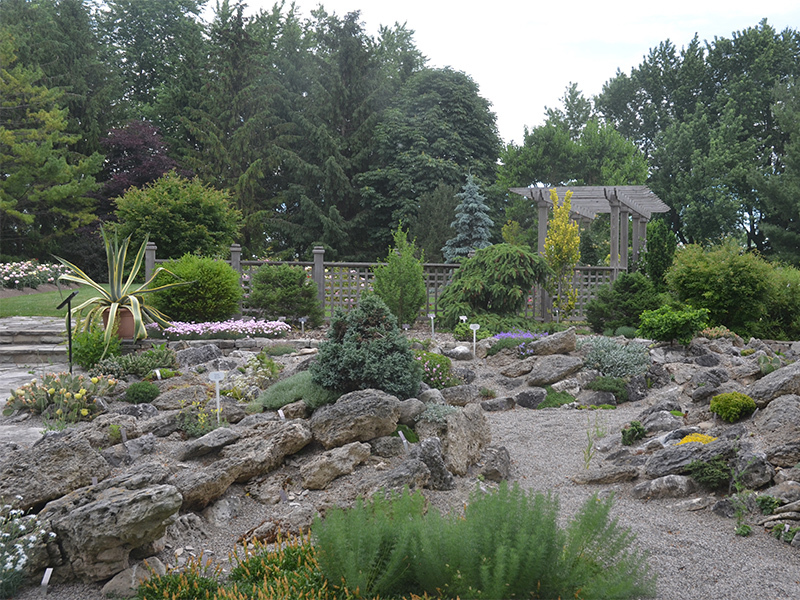 In 1991, Michael Pascoe, a graduate of the Niagara Parks Commission School of Horticulture was hired to design and develop the gardens and corporate properties and bring them to the level that exemplifies horticultural excellence. 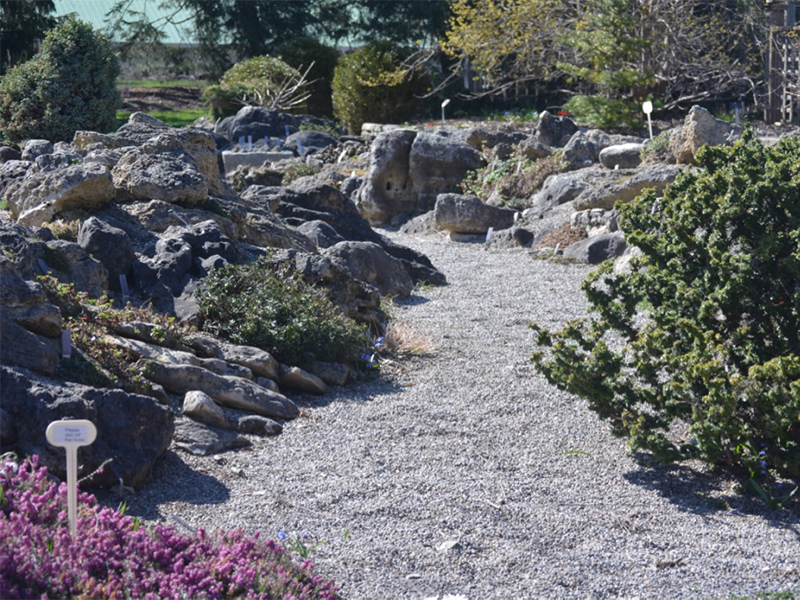 Cuddy Farms at the time was one of a few large corporations with a small but dedicated in-house horticultural maintenance division. 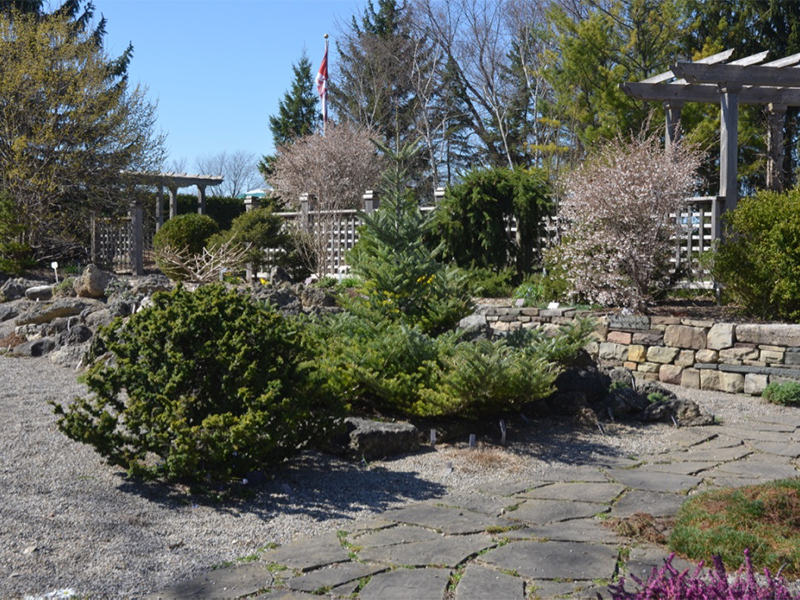 In 2006 Patricia Van Omen Cuddy donated the gardens and house to Fanshawe College, the Horticulture Technician Program now manages it.